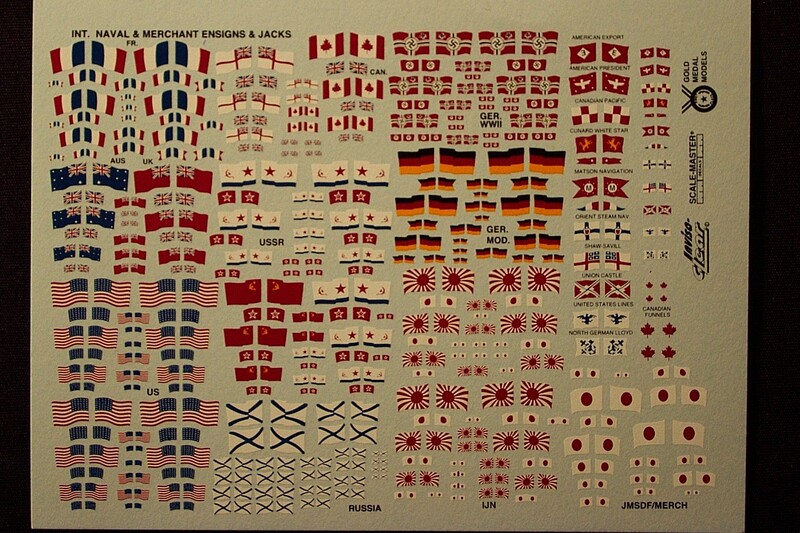 Ensigns and jacks for US, Canada, UK, Australia, Germany, France, Japan, and USSR from 1933 to 1990 in four sizes each, and merchant house flags for ten lines (Cunard, United States Lines, etc.) in two sizes each. All flags in "windblown" format. Also includes Canadian Maple Leaf funnel insignia in two sizes. Over 200 flags in all. 1/350 and 1/700 ensigns measure five scale feet tall by eight scale feet long.